When I celebrate my completion of a minor tractate (e.g. Masechet Derech Eretz or Kutim or Gerim), should I say Hadran and/or Kaddish at my Siyyum (party)? Rabbi Yechezkel Moskowitz answers that one may make a full "Siyum" on all "Masechtos Ketanos", except for Maseches Derech Eretz (he quotes the Sefer Yoma Tava, Sha'ar 1, Page 23). 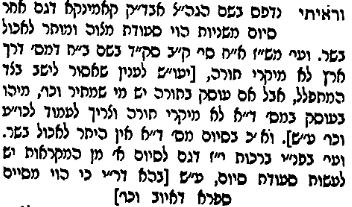 This ruling (that one may make a Siyum on a Masechta Ketanah, although he doesn't mention the exception of Derech Eretz) is also stated clearly by the Alei Tamar in his intro to Bava Kama, as well as in Pesachim Perek 10 (text quoted here). This article also confirms that a classic "siyum" may be made on these Masechtos, in the name of Rav Ovadiah in Yabia Omer 1:26:10, but I haven't looked that up. Not the answer you're looking for? Browse other questions tagged kaddish siyum . What level of understanding is required in “learning” for purposes of making a siyum? If one or more women complete a Talmudic tractate, can they make a siyum? Started to say wrong kaddish — how should you correct?